Select any of our Doctors below to see their personal reviews from patients, via the DoctorBase site. "It was a pleasent experience considering it was a dental appointment!" 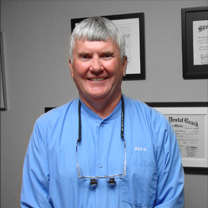 "Everyone was so polite and caring.I felt very at ease.I just adore Dr.Carl.I will be making my appointment on Monday to have my work done here." "Normally in a place this size one would feel like cattle but I felt like my care was individualized to my needs. They listened well and were thorough in their explanations. I would highly recommend Dental Health Associates to everyone. Thanks!" "Everyone was great! If you are mortified just thinking about going to a dentist, then you have to visit these fine people." "I love everyone there.They are so nice!!! thank you"
"I love coming to Dental Health Associates and I can't think of a thing I would change!" "I felt at ease during the procedure and was very happy with the results." "Everyone there at the office is always friendly and makes you feel very at ease."